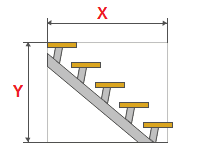 SP - Determine the position of the first degree relative to the level of the floor of the second floor. LR - Set the direction of the lift. For the drawing steps. 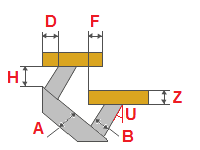 Calculation of convenient metal ladder to the second floor. Determining the amount of material. The exact dimensions of all the parts. Detailed drawings and schematics of all elements of the metal stairs. You have no saved calculations. Register or log in, that would be able to retain their calculations and send them by mail. Entrance | Registration | Forgot your password?